It was hard to leave. Literally, difficult. We had to cram all our things in the car (clothes hangers, I miss you, I’m sorry you couldn’t come). We had to clear out of the place and chit chat with the landlord. We had to have our last Seattle clam strips from the best pier with the worst service. Finally, after filling up the gas tank (which read permanently empty due to the weight of the car, hilarious) we got out of Seattle at about 2pm. 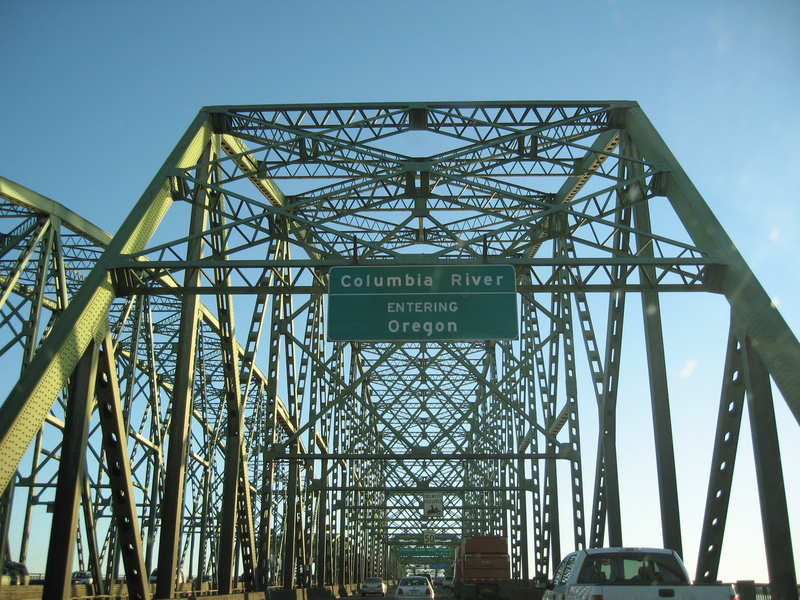 Less than 2 hours later, I’m taking pictures of the bridge you cross to get into Oregon. The ride was beautiful. Oregon is amazing. Our only goal for the day was to explore Portland, so I could try to make MK love it even though I’d never been. Every street was lined with trees. It was Seattle’s Pioneer Square, with younger bums and prettier scenery. We drove up and down every street and stopped for dinner near some college park area and sat out in the chill and enjoyed some coffee. Gorgeous. As a reminder, the fires had already started at this point. To be brief about the issues, MK is also sometimes a realtor and knew well that as soon as insurance checks were written, people would be snatching up fire-free properties. We had planned to make a very, very leisurely trip down the coast, over a week or maybe even two. However, with the uncertainty of the traffic and condition of our destination, we agreed to get down there ASAP. That decision would pay off. I wish we could have spent more time in Portland, but we were able to get as far as Eugene that night. I, for the first time ever, worked out in a hotel, not willing to skip any days on my Body for Life program. I think I rule. It was negative 1000 degrees in the morning and the car was miserable. So maybe I’m not moving to Oregon after all. Also, the gas is all full service in the entire state, which I think is silly. That’s your random information for the day. Here are the Oregon pictures. This entry was posted in Adventures, Moving, San Diego, California. Bookmark the permalink. Here’s a fun little site, in the spirit of Halloween. You can play in the pumpkin patch. 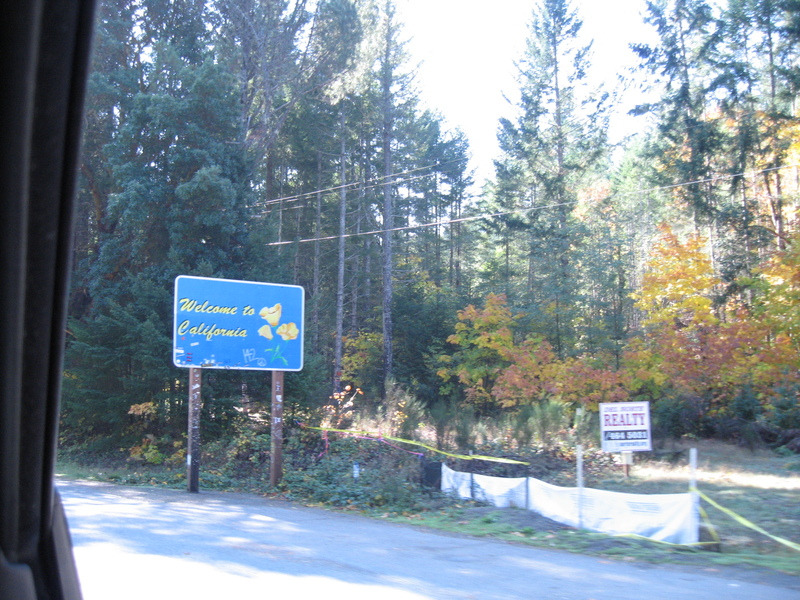 Maybe another time you can do a leisurely visit to Oregon. Can’t wait for the photos. My dad’s been trying to get me to move to Oregon since college – “You can work for Intel! They’re in Oregon!” – which I kinda think was selfish since all he wanted was somewhere free to stay on vacation. Thanks for firsting, Sybo. That’s my first. Jayne – Definitely hope so. Snippy – I’m fine with that also. If you or my dad think for a second that I’m intentionally moving to any state that has regular cold weather, you are both certifiably insane. Maybe the two of you could go halfsies on a condo. . .
No pumping your own gas?